Elegant Golf Course home in Golden Eagle. 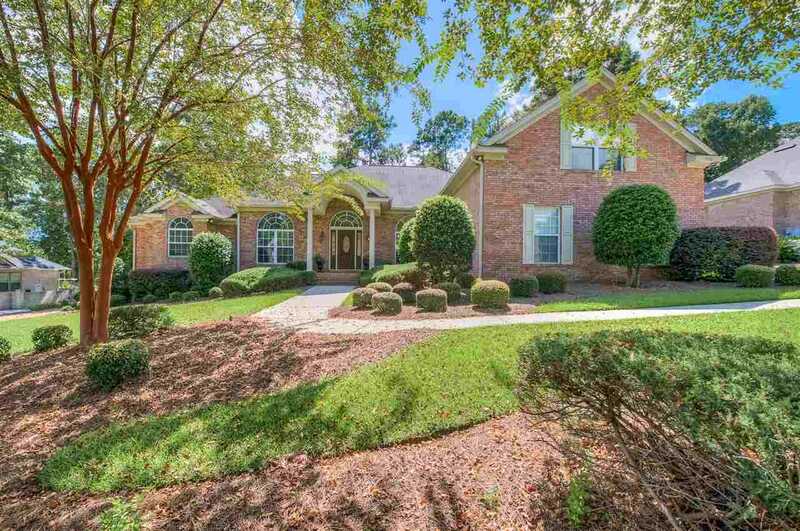 Voluminous home with soaring coffered ceilings, detailed molding throughout, custom built ins, and a bright and airy feel with abundant natural light. Wood floors throughout with tiled bathrooms. Crackled glass subway tile backsplash, under and up lighting, granite counters, stainless appliances, cherry cabinets, and abundant storage in the kitchen opens to the elegant living room featuring gas fireplace, surround sound, and custom cabinetry. Master suite fit for royalty with spacious bathroom featuring dual vanity, dual walk in closets, jetted tub, and walk in shower stall. 4th bedroom upstairs features private bath and walk in closet. Enjoy entertaining out back with covered multi-tiered deck with seating galore and gorgeous views of the 5th fairway. Don't let this gem get away! Directions:Kinhega to R@Deerlake to Golden Eagle Gate; R@ roundabout onto Shoal Creek; 1st L is Deer Valley. SchoolsClick map icons below to view information for schools near 9586 Deer Valley Drive Tallahassee, FL 32312.